“Planned Parenthood Harvested Intact Brain From Fetus Whose Heart Was Still Beating, Former Abortion Clinic Worker Claims In New Video,” by Samuel Smith — The seventh Planned Parenthood video may be the worst one yet, showing aborted babies that are still moving as a former employee describes how such a baby would be cut open through the face. “Hey Christians, Say Goodbye To Religious Freedom,” by David Harsanyi — The Federalist assesses the consistent threat to religious liberty posed by courts who think they have the power to determine when one’s religion should and should not matter. 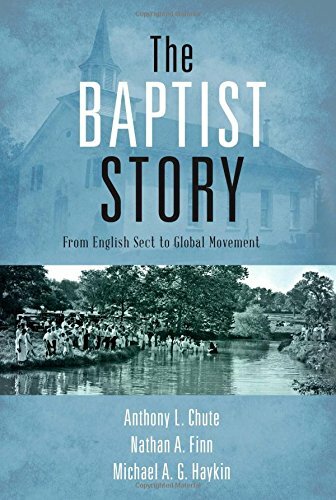 The Baptist Story: From English Sect to Global Movement , by Anthony Chute, Nathan Finn, and Michael Haykin — Here at last is an interesting, accessible, and careful textbook on Baptist History! The authors all come from a strongly evangelical point of view, even as they recognize the diversity inherent in the Baptist movement. If you’ve every wanted to know where Baptists come from and what they’ve been through, this is unquestionably the place to start. “Keller, Piper, and Carson on Thriving Churches in a Hostile Culture” — Though posted earlier this year, this short video between three godly men remains instructive, especially as the culture is not growing less hostile, but more so, towards biblical Christianity. 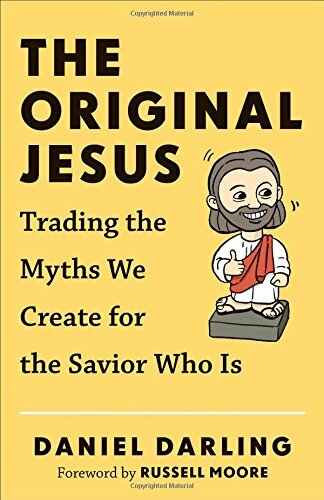 The Original Jesus: Trading the Myths We Create for the Savior Who Is, by Daniel Darling — I had the privilege to read a pre-pub copy of this wonderful work by Daniel Darling. As I said in my endorsement, this book will make some people mad. But hopefully God will use that to expose some areas of our lives that need to be transformed and changed by his penetrating Word.